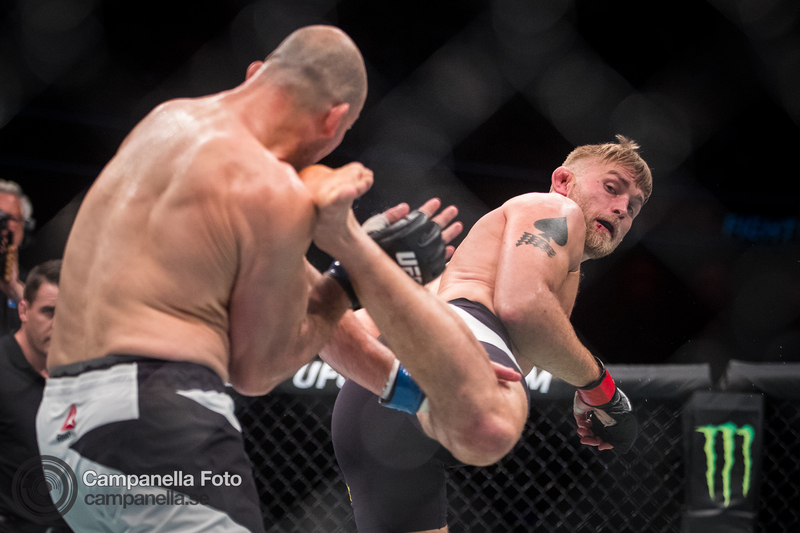 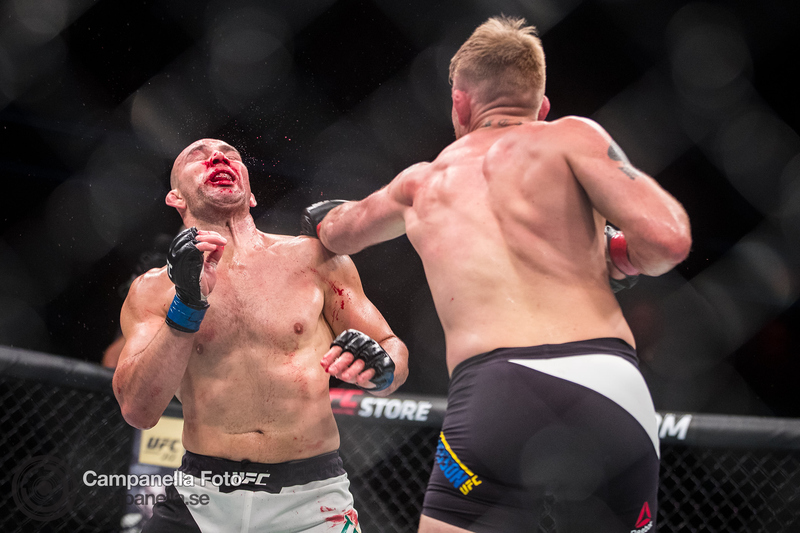 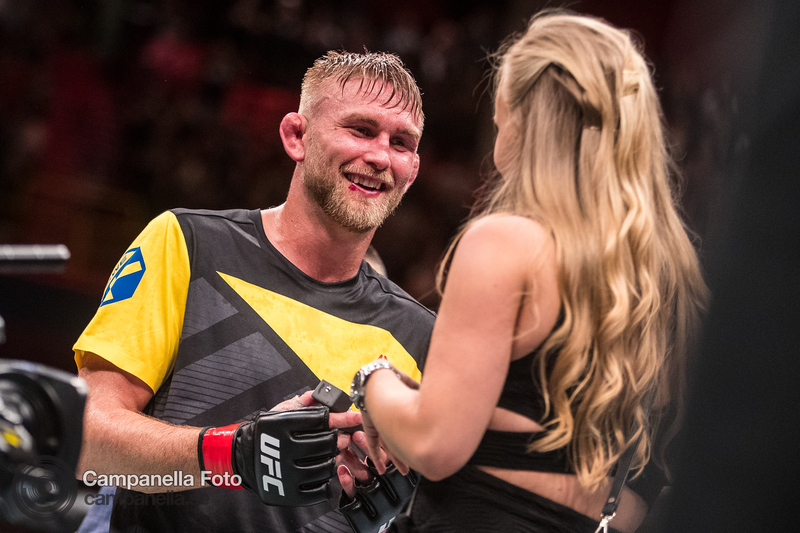 The UFC finally returned to Stockholm as Alexander “The Mauler” Gustafsson returned to action and faced off with Glover Teixeira during the UFC Fight Night card at the Ericsson Globe Arena. 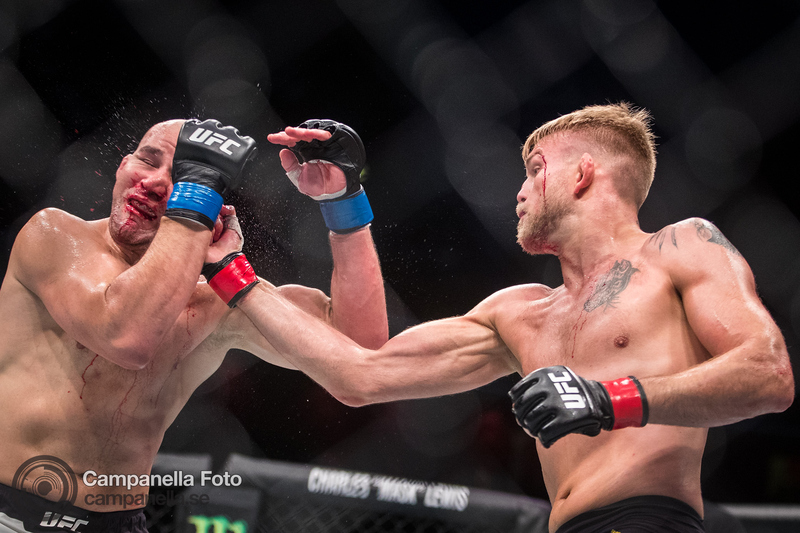 I was fortunate enough to have the opportunity to once again work with the UFC as one of the ringside shooters. 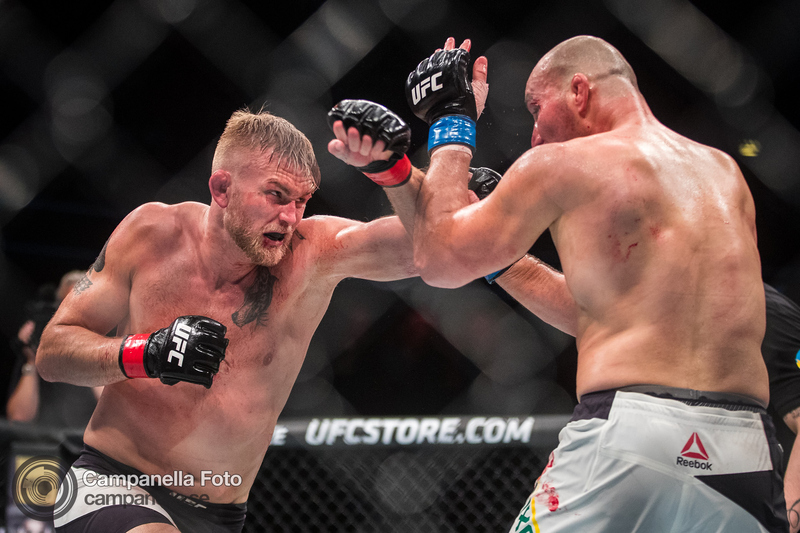 The last time I worked for the UFC was when Gustafsson had his shocking loss to Anthony “Rumble” Johnson at the Tele2 Arena. 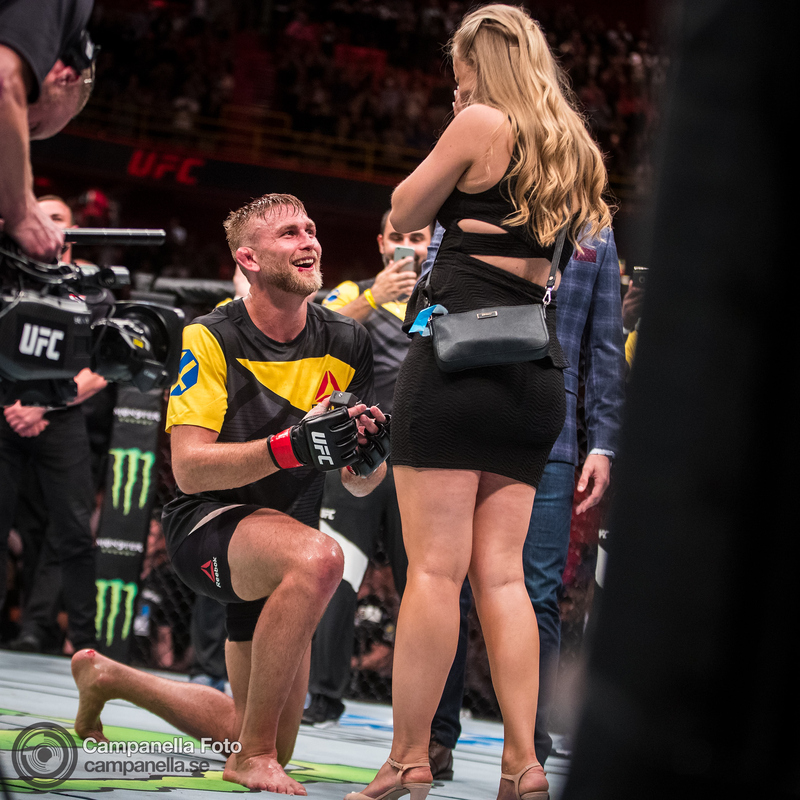 This time around it was a great night for Gustafsson who easily disposed of his opponent and celebrated by popping the big question to his girlfriend Moa Johansson. 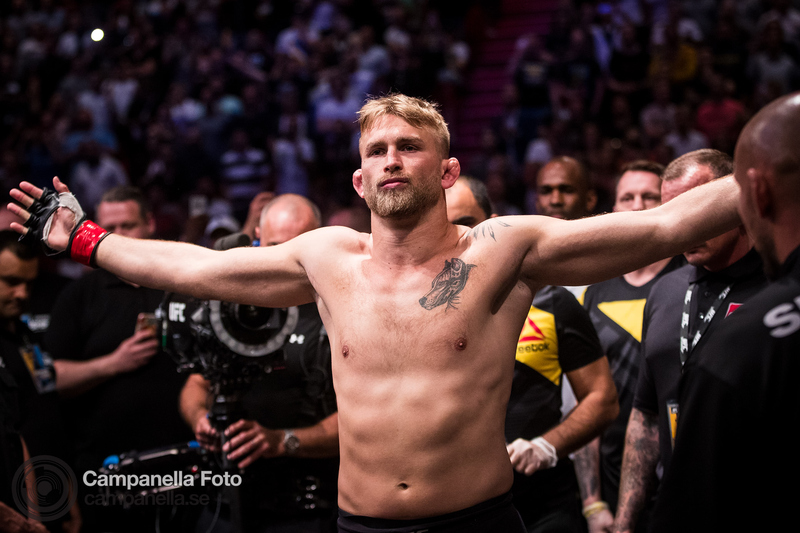 Now the only question that remains for Swedish MMA fans is when Gustafsson will get another shot at the title.